On the 6th day May '05, over fifty million viewers tuned in to say goodbye to six people who had touched their lives in the past decade. That was the series finale of F.R.I.E.N.D.S, something which defined a sitcom and sets the standards for the present ones. Later that year, an evening in September, however, marked the start of another sitcom which defined awesomeness! 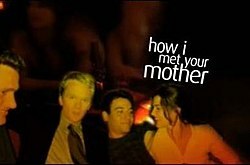 No prizes for guessing, I am talking of 'how i met your mother'! 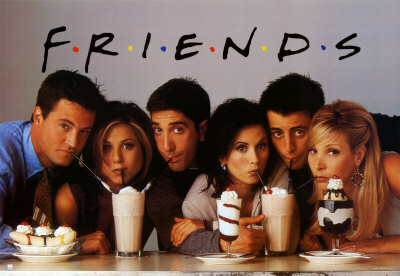 An adorable theme song in the form of 'I'll be there for you' is what greets you at the start of every friends episode. Make no mistake, the first time I started watching himym, 'Hey Beautiful' sounded pretty nice to me. I would listen to it over and over again! Then again, 'I'll be there for you' just makes you wanna sing along as soon as you hear the music rolling. By the time they start the pilot of himym, most people have already watched the complete ten seasons of friends. It was, however, completely different for me. I started friends, when I was midway through the seventh season of himym. The fact that the title of himym has a specific meaning, it is quite irritating that the viewers have only seen the toe of the 'mother' (and a few details here and there)! No such stuff is possible in case of friends as the title doesn't really give any direction to the storyline. The combination of Joey, Chandler, Ross, Monica, Rachel and Phoebe just outclasses any other group out there. But, there is a certain someone in himym that makes it tick. It's, of course, the (apparent) author of the Bro Code and the Playbook, that I am talking about here! 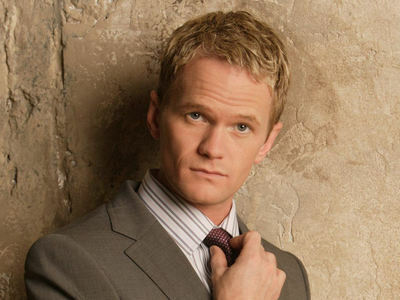 In fact, he's the very reason for the success of himym. The very opportunistic, illusionist and manipulative guy who gets this show rolling! People usually tend to compare the two sitcoms and end up believing that one of them is superior (believe me, it's usually friends which gets the superior tag). But I tend to believe in none. It's just that both these sitcoms hold special places in my heart! Each of them were produced at different times with different goals and have been able to reach out to a large number of people! So, why compare them? At the end of the day, if you ask me to just pick one without thinking much, it'd have to say friends (there, I said it, happy? ), but that doesn't, in any way, make himym inferior! It is yet to be seen how many people tune into say goodbye to Ted, Barney, Robin, Marshall & Lily, but that would end up just being a number which would be placed along with the fifty odd million in case of friends. But at the end, I believe, these two are at the best in sitcoms and just should NOT be compared to each other!